What is the best way to get a group around the hectic streets of New York City, to the airport or on any other adventures? Hiring Liberty Luxury Limousine! We can take the stress out of travel plans by offering the most reasonable rates in the industry. For a group of up to 14 people, our passenger van can provide a comfortable, safe way to get you around and allow you to focus on your business partners, family or friends. Liberty Luxury Travel can take you to any New York City airport and our experienced chauffeurs can navigate there effortlessly. We also offer trips to casinos, theaters and any other fun event in the area. 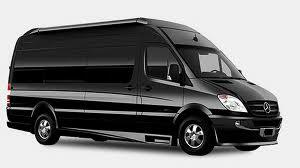 Travel in complete comfort to complete business meetings or just spend time relaxing and sightseeing. You tell us where and we will get you there. Our fixed rates make planning a budget easy and affordable. If you would like to just travel around the city, give us a call and we can help you calculate a quote for your transportation needs. Our well trained, friendly and courteous staff will help put together a transportation package that will suit all of your needs.